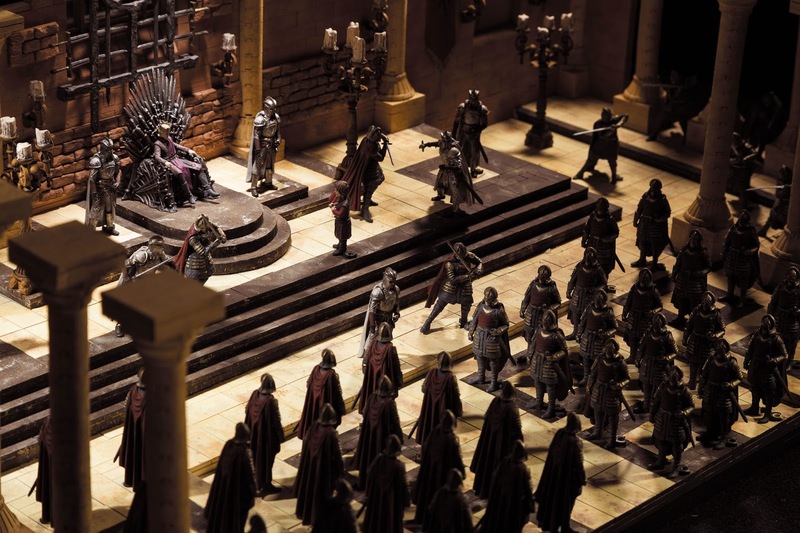 The first release is the Iron Throne Room, which is shown with characters for King Joffrey, Tyrion Lannister, members of the Kingsguard and Lannister guards. 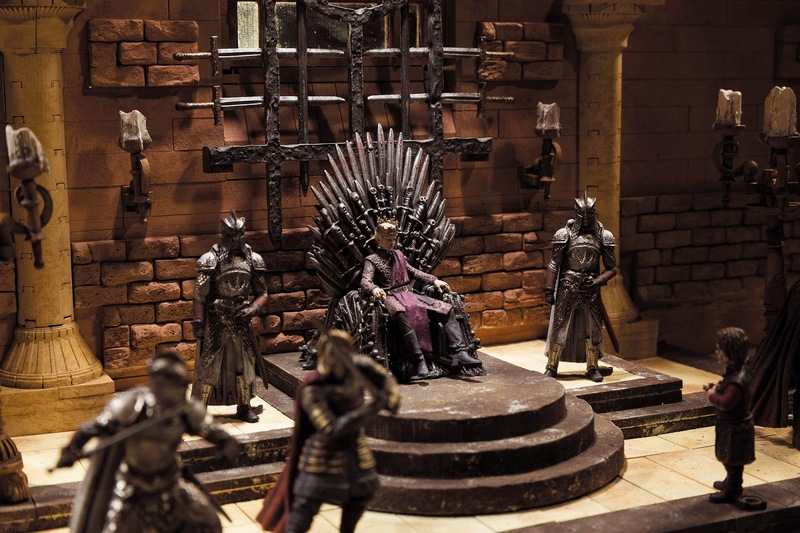 Upcoming playsets include a Mother of Dragons set and an Attack on The Wall set. 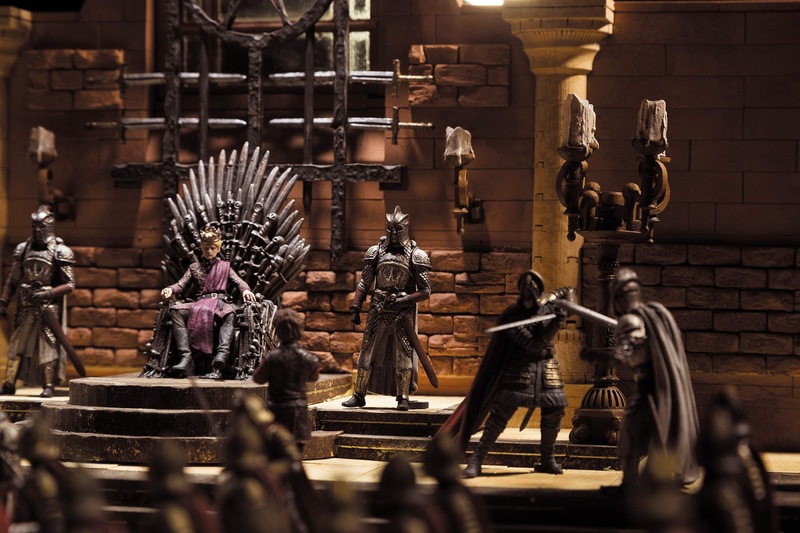 Each includes some scene-specific characters and accessories and retails from $14.99 to $49.99 (the fully stocked spread below includes the Iron Throne Room’s starter kit plus additional characters that cost extra). 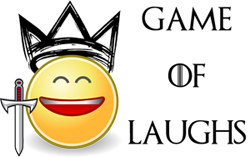 The figurines ($2.99 each) have articulated body parts and include characters like Tyrion, Jon Snow, Daenerys Targaryen, Grey Worm, Ghost, Rhaegal, an Unsullied, a Crow, a Wildling and a Wight. 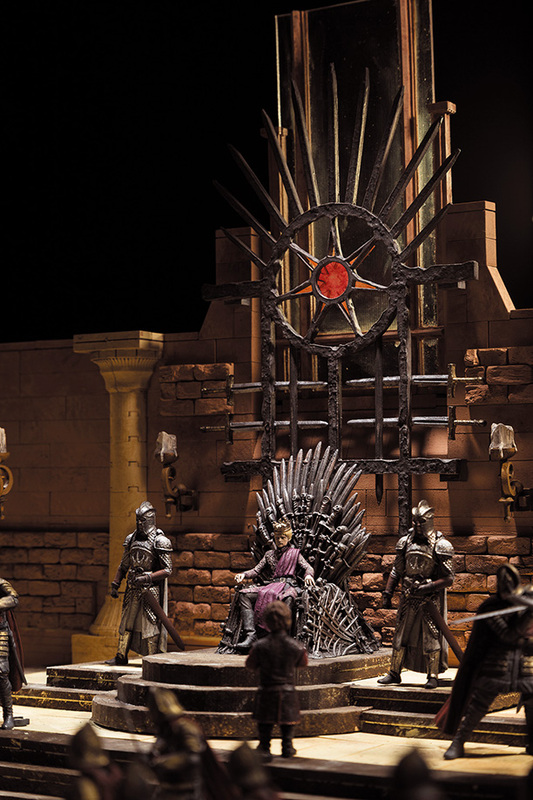 The toys will be unveiled at the San Diego Comic-Con and will be released in stores this fall.